One of the most anticipated exhibitions of the year is undoubtedly Hollywood Costume, which opens at the V&A in South Kensington this weekend. Featuring over 100 costumes from an array of iconic films, the exhibition navigates the last century of costume design for the screen and focuses on the process of bringing characters from page to performance in vivid detail. Taking you through the evolution of a character from script to screen, the exhibition features some of the most instantly recognisable costumes from cinema, each painstakingly created by a plethora of talented designers. From the classic glamour of old Hollywood, expect to see outfits worn by Marilyn Monroe in Some Like It Hot, Audrey Hepburn in Breakfast At Tiffany’s and Judy Garland in The Wizard of Oz. Showcased alongside these are costumes from some of the best loved films of the last decade, such as Pirates of the Caribbean, Harry Potter and Marie Antoinette. Many of the pieces are on public display for the very first time, so this really is an amazing opportunity to see Hollywood history firsthand. It’s sure to be a blockbuster, so book early to avoid disappointment! 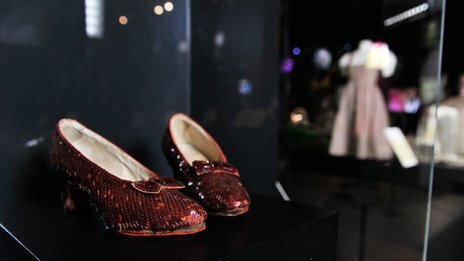 Hollywood Costume runs at the V&A from 20th October 2012- 27th January 2013. To find out more and to book tickets, visit the V&A website.